Wat is dit voor site? Wij zoeken de goedkoopste boeken op internet. Heathrowvonden we het goedkoopst op Bol.com voor €4.99. We hebben gezocht in nieuwe en tweedehands boeken. Rechtsonderaan de pagina kan je het boek direct bestellen	via Bol	.com. Philip Sherwood's fully revised and updated history of Heathrow tells the extraordinary story of the district from the distant past to the present day. He describes how, in the sixty or so years since the Second World War, the isolated hamlet of Heathrow, which was surrounded by fields and market gardens, was transformed into the largest international airport in the world. The book recalls the earliest recorded human activity in the area over 2000 years ago. It uses maps, plans and an evocative selection of historic photographs to illustrate the slow development of this rural district from medieval times. The author shows how the landscape of farmhouses, cottages, fields and gardens in this quiet corner of Middlesex was obliterated by the airport's expansion. Hangars, runways, roads, hotels, warehouses and terminal buildings now cover the countryside, and this continuous development has had a lasting effect on the lives of the local people. Again the history of Heathrow is being drawn sharply back into focus with the further proposed growth and new terminal. 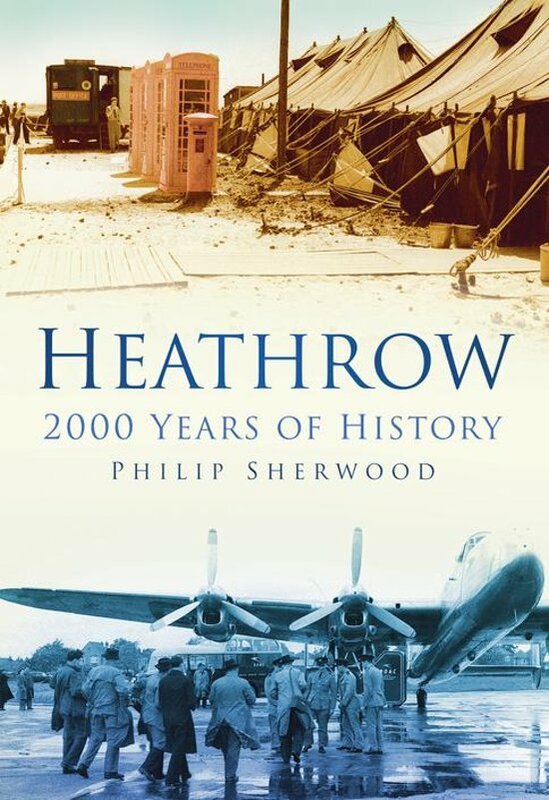 Philip Sherwood's in-depth knowledge of the long history of Heathrow will make his new book fascinating reading for everyone who knows the airport, the nearby villages and the surrounding area. His book will also be of interest to all those who are concerned with the history of civil aviation and with the future of the English countryside.